So I've finally got around to creating my own moodboard :) I went for a drive to Kmart today equipped with 250 photos burnt onto a CD. Pictures and illustrations that inspire me when I look at them, inspire me to be creative. I'm always on the lookout for new things that inspire me, and pictures are a great way to do so. Lately I've been admiring the beauty that fairy lights exude. They make everything look magical. When I bought these fairy lights today I actually thought they were white, which was what I was looking for. I turned them on, however, and got quite a suprise when this array of colour bursted out. 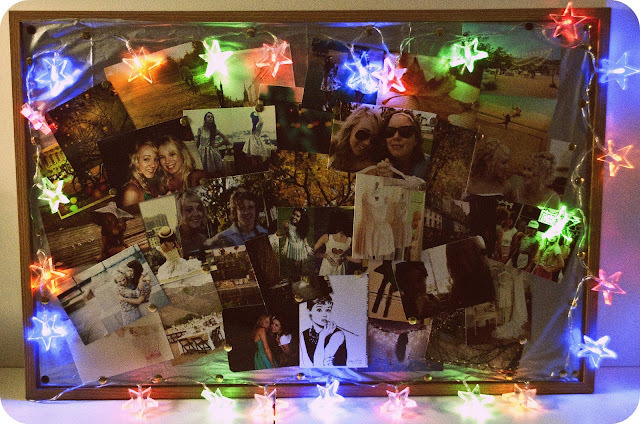 I shall have to keep looking for white fairy lights, but these coloured ones add some energy to my moodboard. 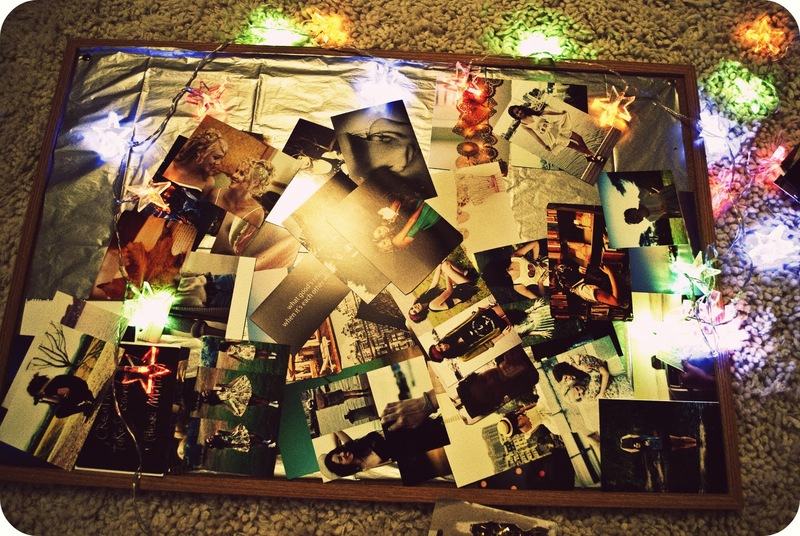 The idea of this moodboard is to change the photos every now and then when I see new things that inspire me. Enough of me rambling, I hope you like my moodboard! 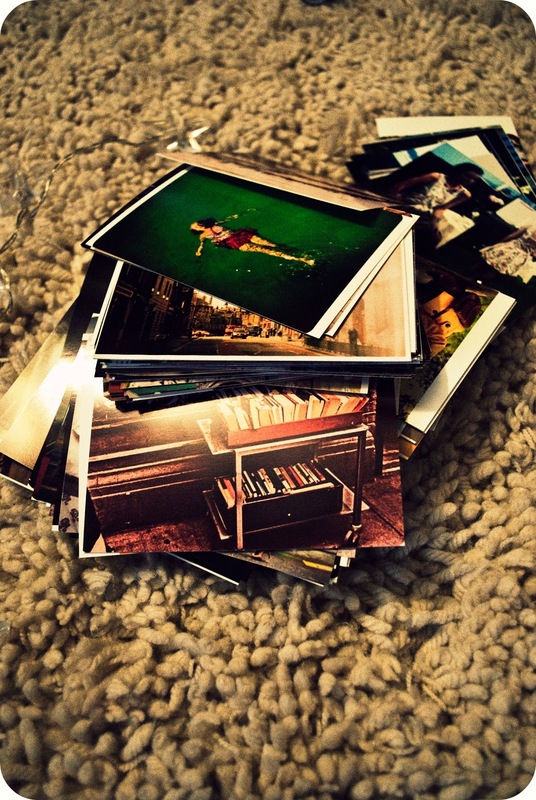 The 250 photographs I got printed out...so hard to choose from! Trying to arrange them nicely and trying to pick only a few! 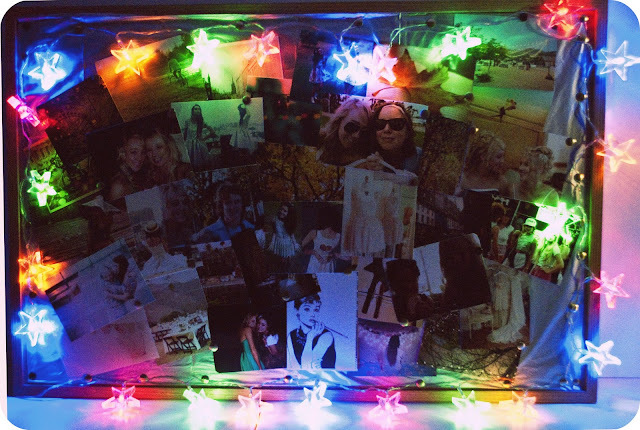 A little dark, but this is the moodboard with the lights turned off.